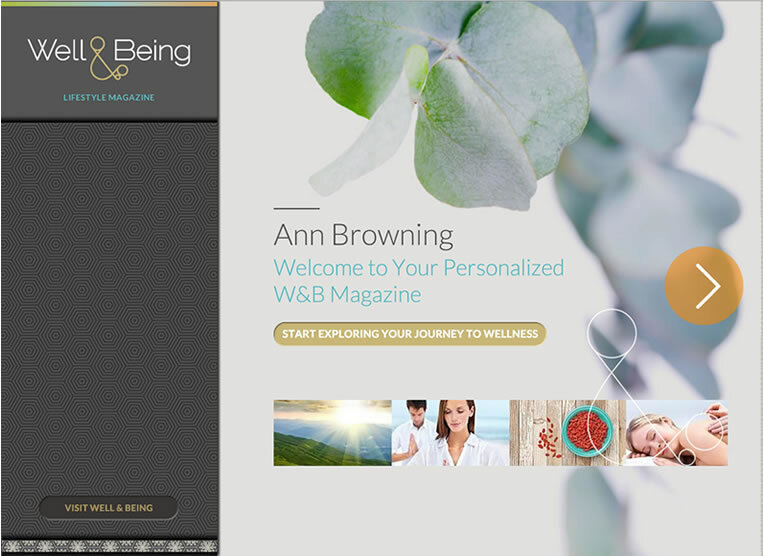 For this brand launch, the brand concept was already defined – an enhanced, luxury spa experience that fully integrated holistic wellness into the offerings. We refined the concept and created identity, look and feel and communication strategies. We named them Well & Being which allowed us a clever way to build wellbeing into the brand identity while also nodding to the brand pillars that were represented by the tagline Mindful Physical Natural. The ampersand was a central brand visual that represented an invitation to more. 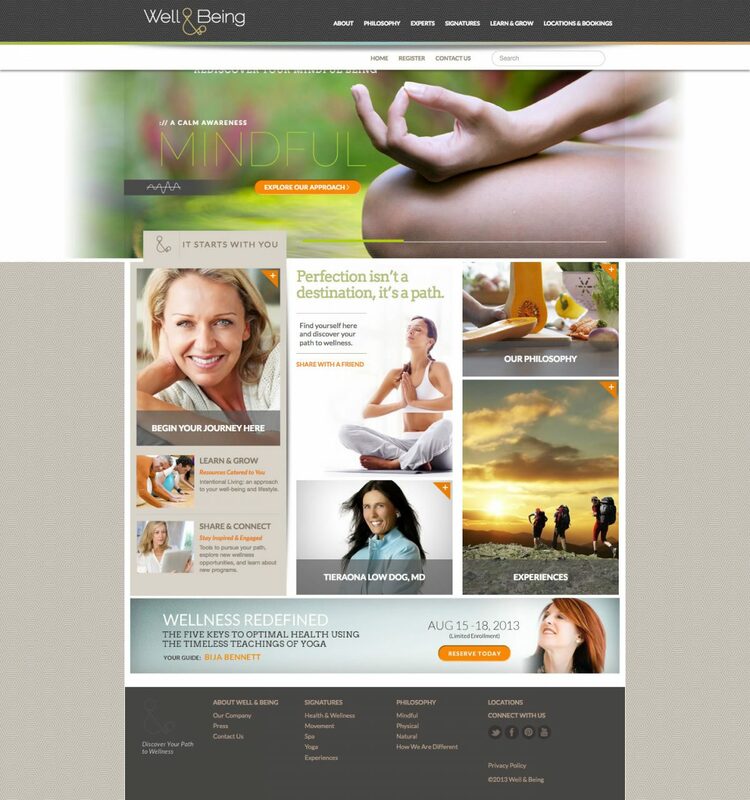 Our charge for the website was to create an intuitive, natural navigation that allowed visitors to explore the many services and treatments following their own singular path. 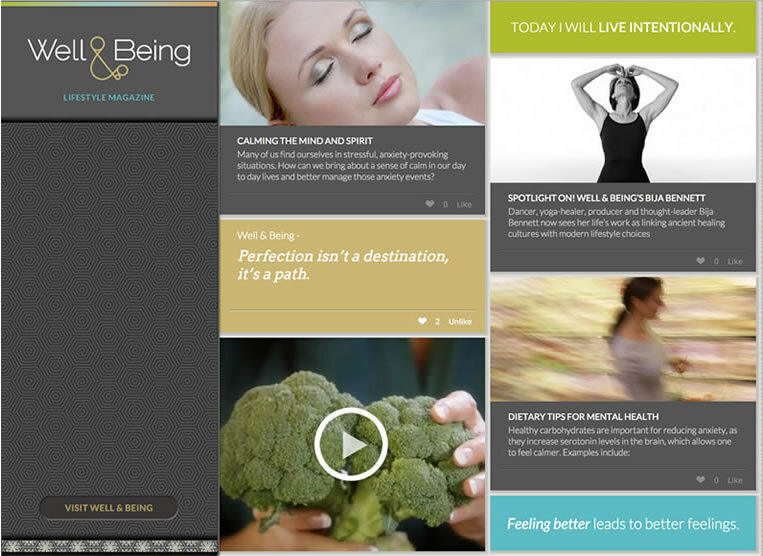 We had a mega-menu top nav, but relied on a recommendation engine to connect the users current page location with other options that may be on that wellness path. We charted the customer journey from first exposure to a bricks and mortar location through checkout, with a heavy emphasis on the post-purchase experience. On a very tight budget we created a personalized digital magazine as the central component of of the post-purchase strategies. Customers and web visitors filled out a questionnaire that identified their individual health and wellness interests and goals. Magazines were assembled dynamically, serving content specific to users’ interests.